The 2013-2014 “Snowpocalypse” has taken its toll on this year’s spring sports’ tryouts. Even though second trimester finals were delayed a week, most tryouts were still held the week of March 10. However, not all of the teams were able to hold typical tryouts. Since the track is covered in snow, the track team had to practice on the roads, in the parking lots, or in the school building. The team is focused on getting into shape and getting ready for when they can do harder workouts and intervals on the track. Other teams such as lacrosse and soccer were not able to hold tryouts outside either, due to Maple Field being covered in snow. Shoveling the turf would ruin the field. The gym is much smaller than the field outside, making it difficult for teams to get a sufficient amount of practice in. “We haven’t been able to work on our stick skills and shoot in the net. It has just been working on conditioning and making sure we’re ready for the season,” freshman Chase Lee said. The soccer team’s tryouts were pushed back a week due to all of the weather conditions. Since the softball and baseball teams cannot play on their fields, they have also had to move their tryouts to the gym and modify how their practices are run. 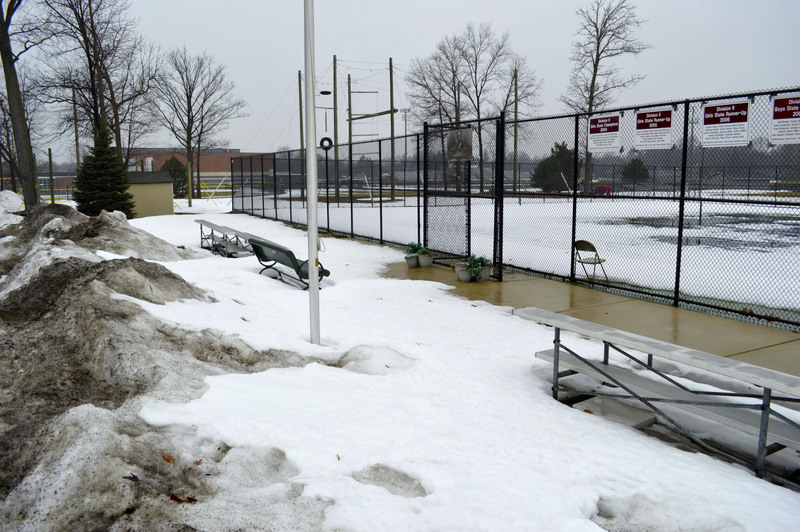 The tennis team’s courts are also covered in snow and ice, so they also had to move their tryouts to indoor courts. The fields, courts, and track cannot really be shoveled, so all of the tryouts were modified to keep the spring sports’ timelines on track. Hopefully, all of the teams will get outside soon and the weather will be more suitable for Seaholm’s Mighty Maples.